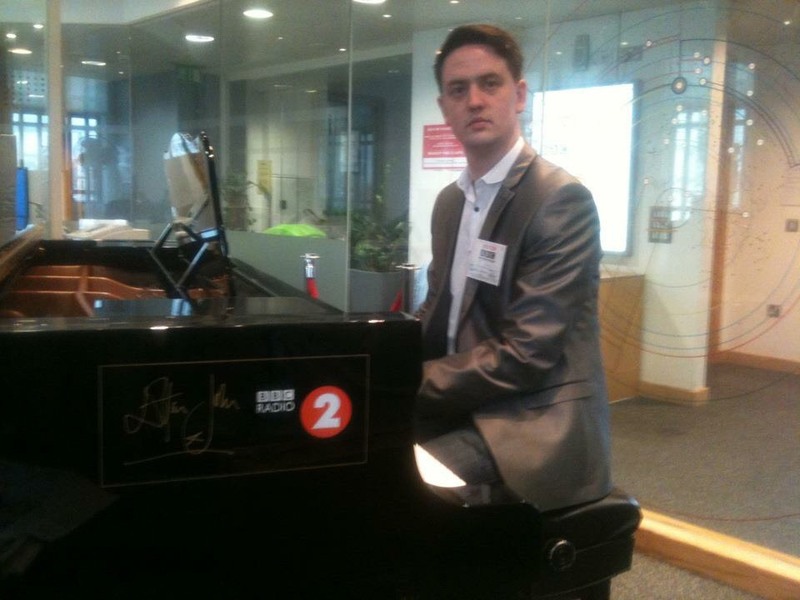 …It marks the day 6 years ago in 2012 that we made a special appearance live on The Jeremy Vine show made on BBC Radio 2. We had already sung live and provided jingles for the station prior to that but we knew that Jeremy Vine was a big fan of Doo-Wop. He had tweeted us saying how much he liked our music and we had also heard his comments on his own show about such groups as The Chords, the Penguins and the Marcels. So, we recorded a Doo-Wop version of his jingle (recorded backstage at The Royal Festival Hall) and tweeted it to him. As a result of this, we had an email from Jeremy and his producers inviting us to drop in some time and perform a song live. 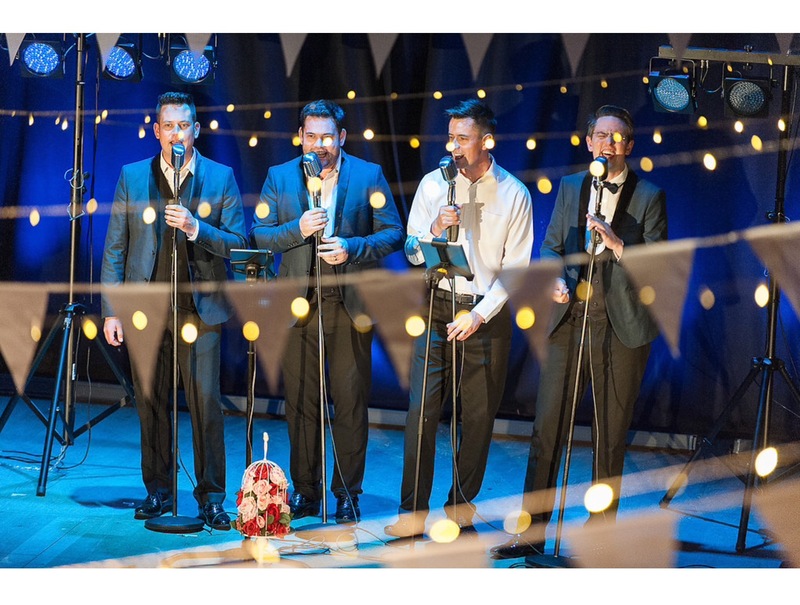 We accepted (immediately) and were amazed at what might be an opportunity to perform to such a big audience and try and spread the appreciation for Doo-Wop. Originally, we were going to appear towards the end of 2011 but due to our performing schedule, we just couldn’t make it work according to the dates that the show offered. Eventually, we arranged a date for February and at this point Jeremy said that they were planning to do more of a feature about Doo-Wop and that “50s sound” and asked whether we would be able to chat on air about the genre too? We were delighted! Whilst we are not music historians, we are massive fanboys and we’ve learned a lot over time about Doo-Wop; how it came along and how it has informed most other genres since so we said “Yes, of course, we’d love to talk about the genre”. Came the day and off we trundled down the M11 – a regular trip for us but this one seemed extra special and so we travelled mob-handed as a quintet; Stephen, Bim, Rich, Paul and Stephen Clark (our brother from another mother). It was personally a tricky time as Bim had a son very ill in Great Ormond Street Hospital at the time (he’s a very healthy happy 6-year old now!) so the thoughts of not just his dad but also his three uncles (and honorary uncle in Stephen Clark) were with him. Bim’s wife Tara was at GOSH that day with him and Stephen’s wife took Bim and Tara’s daughter out for a day sightseeing around London. Bim has since said that the help of family, both practically and emotionally were a massive help during a difficult and worrying time. We all believe that music and performing can offer an escape from the stresses of difficult situations and our music certainly lifted everybody involved that day. We’d been advised that the final thirty minutes of the show was to be the special on Doo-Wop, vocal groups and featuring ourselves singing and talking about the genre. The initial request to come to sing in the studio live had to grown into something a lot more exciting! Once we’d arrived at the station, we were welcomed and looked after by the team and allowed to settle in the waiting area and prepare ourselves for such a great opportunity. We were enjoying some lovely coffee, practicing a little, Richard was playing the famous ‘Elton John Piano‘ and we were all chatting casually with Michael Ball and Sally “Traffic” (who remembered us from a previous visit to the station) among other presenters. Although we were hoping it would, we weren’t quite prepared for the reaction that the slot provoked. There were SO many people who got in touch with favourable comments. People who we’d played for, old and young Doo-Wop fans, people who had newly discovered the genre through our appearance that day. At one-point Jeremy said “we’re having an unprecedented amount of texts and emails”. We spoke about the genre at length and how it paved the way for other genres and made stars of certain groups and singers and we performed several Doo-Wop classics; Blue Moon, Why Do Fools Fall in Love, Get a Job, In the Still of the Night as well as an original song of ours called ‘Back in the Day’ (available to purchase on iTunes) and a Doo-Wop version of Jeremy’s jingle which he used for the rest of the year as his feature jingle. During one of the songs, we noticed a group of men outside the door peering in and giving us the thumbs up. 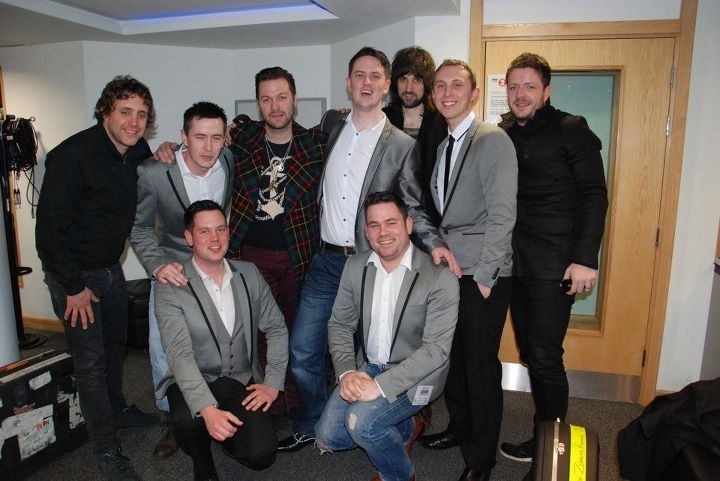 Afterwards, Jeremy’s producer Phil introduced us to the men… Kasabian! They were in the building setting up for a soundcheck, heard us and then realised we were singing live and headed over to say that they loved our sound – a completely SURREAL MOMENT! It was a very special day and it’s difficult to appreciate the ripple effect that the appearance had for us as a group and the genre. We had SO many people contact us as a result of it; previous clients, friends and family and brides to be to say how much they enjoyed the feature. 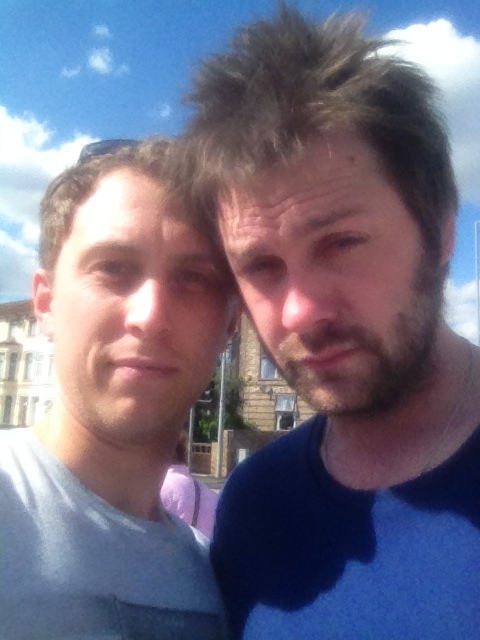 Stephen even randomly crossed paths with Tom Meighan from Kasabian a year or two later outside a train station, both remembering each other and managed a quick selfie with him! 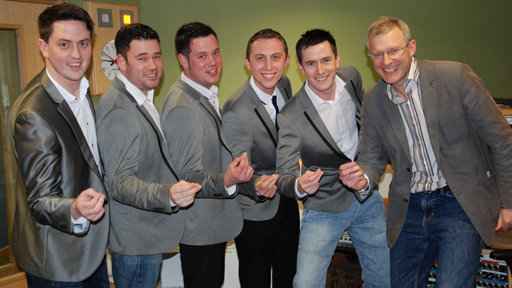 Even years later, we still turn up to weddings to be somehow recognised as the group that sang on Radio 2! If you’d like to listen to our appearance, you can do so HERE and Jeremy, if you’ve read this, we’d be happy to come back and do ‘Doo-Wop Part Two’!